Finally! The time of year we have all been waiting for - Body Buster Fitness Bootcamp classes in Langley are now officially outdoors for the Spring and Summer programs!! Be prepared this Spring for Outdoor Programs - the weather around here has been pretty great we must say, however it can be chilly in the early morning and evenings! Bring with you to class whatever you need to keep warm - gloves, toques, jackets - to ensure that you will be comfortable through the class and benefit fully from your workout! Register quickly because just like you, everyone is excited to get outdoors and start getting into tip top shape for Spring and soon-to-be swimsuit season! Classes have already started filling up very quickly so get your spot today! We are now offering classes in Willoughby, Fort Langley and Murrayville! Langley Boot Camp Making Headlines in the Langley Advance! The Next Body Buster Fitness® Program Starts April 22nd and We Want YOU There! REGISTER TODAY! "I have gained new confidence in controlling my overall health, new friendships and Annette and I have gained the ability to be role models for our children." I started attending Body Buster classes in the spring of 2009. The aspect of the Body Buster program that I like most is that no class is exactly the same as the last. Each workout (morning or evening) and each instructor is unique. The instructors bring an individual style and flare to each workout. I'm never bored during my time working out in a Body Buster class. I also like the fact that the instructors get to know your strengths and weakness and push you to improve on a personal level. Even though I'm in a large group exercise class I feel that the workout is tailored to my abilities by the use of various modifications available in each exercise and how the instructors push me to keep the intensity in my routine. By participating in the exercise program provided by Body Buster I have been able to maintain my healthy body weight and lose a few extra inches off my waist. My wife (Annette) and I have chosen to continue to be Body Buster members because of the flexibility the program, she and I alternate four week program so both of us can benefit from the program as we have a young family and the Body Buster staff have always been accommodating to our special needs. We also continue to come back to Body Buster because the locations and times of the classes fit well with our busy lives balancing work, kids and personal time. In terms of overall health, working with the Body Buster program has provided me the ability to regain a level of overall vitality that I had lost since my mid-twenties. I'm in the best physical shape since then and I know I have the means and ability to maintain and improve my overall health looking to the future. I have gained many things from being a Body Buster member. I have gained new confidence in controlling my overall health, new friendships and Annette and I have gained the ability to be role models for our children on how to maintain a health and active life in this age of sedentary lifestyles. Anyone thinking of becoming a new Body Buster member should know that taking part in this program can be life changing. The Instructors care about your health and progress, there is a very personal touch to their training. You will see results in your overall strength and endurance, even at the end of only one session and that like anything in life you get out what you put in. The more you put into your Body Buster experience the more you will get out of it. 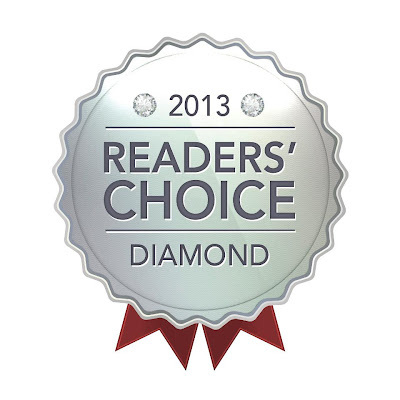 Body Buster Fitness® Wins The Diamond Award for BEST FITNESS BOOTCAMP! Thanks to all Body Buster Members and Friends for your continued support! 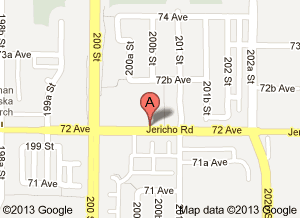 This location in the Willoughby neighbourhood is the absolute ideal outdoor Body Buster® location. Located in the heart of Langley which is wonderful for the spring, summer and fall months. This location has it all from a large parking lot to a great grass a lawn. Perfect for any Body Buster Program and easily found at the corner of 200th St. and 72nd Ave. 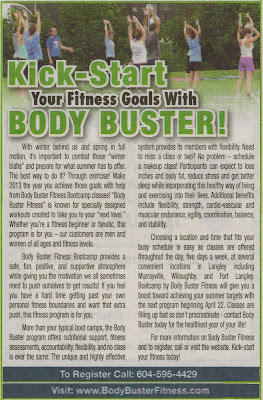 It's April and Body Buster Bootcamp® Classes will be Heading Outdoors! Outdoor fitness is refreshing, energizing and fun! Boost your enthusiasm by exercising outdoors! Get in shape fast, get better sleep, and enjoy the warmer weather we're finally getting! Take part in our upcoming 4 week bootcamp programs! The Next Program Starts April 22nd!